Illumination here means knowledge of Self. In all of us exists Light of God. Light is where there is no darkness. The purpose and aim of spirituality is to discover our real and authentic nature. It is a journey that we undertake where the destination is the discovery of the presence of Spirit or the source of illumination in ourselves. Spirit is the illuminating Light ever present within ourselves. The journey though long and uphill, once when embarked, one day comes to an end only when a stalwart Spiritual Guru, who is of course a liberated soul himself, rescues and salvages our soul. He transmits and infuses His own power for us to unfold and later manifest fully our omnipresent Spirit, the source of Light of Illumination and Knowledge. 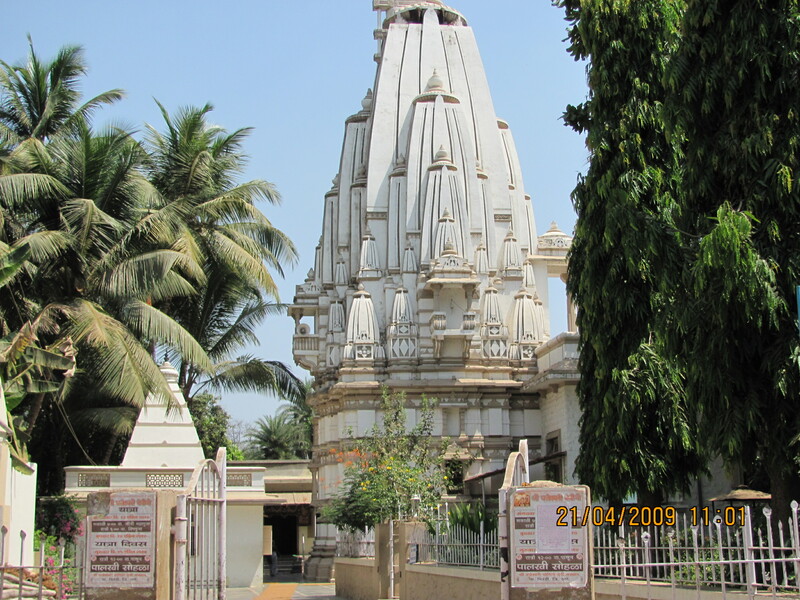 His samadhi is in Ganeshpuri, approximately 75 kms from Navi Mumbai. Incidentaly, there is no Ganesh temple in Ganeshpuri as the name says, but the main place of interest is the samadhi of Swami Sri Nityananda. There one also finds samadhis of his prominent disciples resting close to him like Swami Dayanand Shaligram and Swami Muktananda. Ganeshpuri is famous and known mainly for Shri Nityananda who spent almost all of his life there amidst the tribal people inhabiting the forests some 70 years ago. He made their lives better helping them by providing much needed social services like schools, hospitals, roads etc. Ganeshpuri is synonymous with Sri Nityananda. Though he is no more in his impermanent physical encasement, that place still emanates very strong vibrations of deep peace and tranquility and spiritual splendour within a wide range of its radius. It is not possible for us to know the depth and stature of his prolific spiritual state and the staggering heights that he had touched and had possessed. But even now, if we implore with a sincere call, he readily unveils a profile of his great humane character. For us, this is like receiving Kripa- Prasad or grace as blessings. 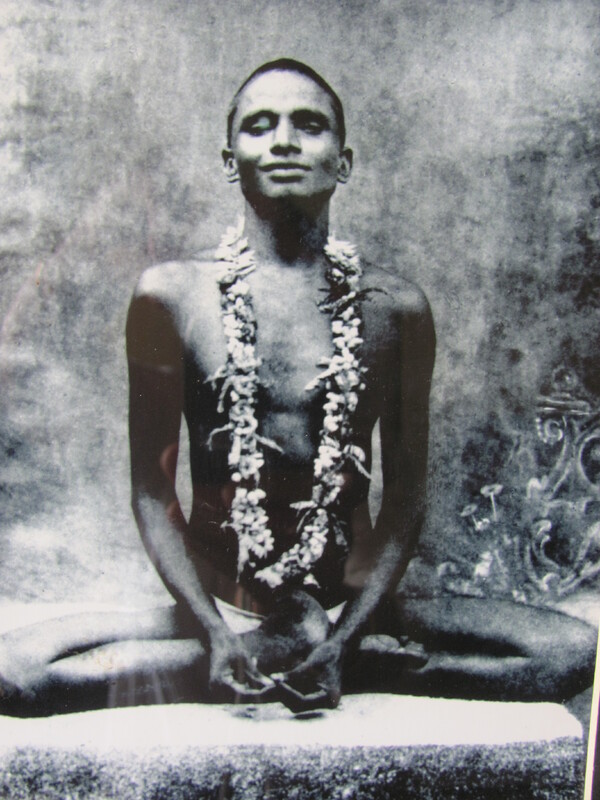 Param Siddha Yogi means an expounder and exponent of mighty and lofty liberating ideas. A rescuer, a liberator and the one who has attained multiple divine powers since very early childhood. He is born as a free soul with no tinge of lingering mud of sins and only virtues of highest order with him. Param Siddha yogis appear on earth only with the wish and will of God with a very big mission to accomplish and merely for the uplifting and welfare of the humanity in masses. Their kind-bigheartedness compels them to have pity at the helpless state of the miserable and needy men. They raise them from physical, mental, emotional and spiritual sufferings and sorrows. People’s lives are restored, their miseries mitigated and stability as well as prosperity established. The delusion of Maya is completely wiped out in the case of sadhaks, sannyasis, yogis, mahayogis and rishis if they so desire. For enlightened souls like Nityanand Swami, Gyan (knowledge), karma (action) and bhakti (devotion) are all one because they converge and all three are equally dear to him, whichever our path maybe. The world for them is a Leela, a stage where there is a passing show or drama going on. Brahma, the absolute is real and the rest unreal. Out of the so many followers that come to the Maha Siddha Yogi, just a handful plead for salvation. Whenever such a suppliant implores with a sincere call, he loses no time in responding immediately. But the petitioner should possess some basic qualifications such as firm determination to help himself and devotion and loyalty towards his gracious guru. The rest of the responsibility is taken care of by him as he is endowed with all the Shakti (power) and yukti (strategy). The birth and life of exalted souls is encrypted in mystery by God’s will. They have exceptional missions and goals in life which are unthinkable and unimaginable for us and impossible to ever attain. But when their benevolence and Kripa Prasad is given out of mercy on us, we are equipped to accomplish some extra-ordinary goals, missions and feats in our life which we could have never achieved otherwise on our own. Let me now share something with you my dear. What I just finished telling you just now relates to my life too. It has occurred in my life because of which I could deal with many life situations in extra-ordinary ways by overcoming various deterring obstacles and also achieving difficult goals. I beat many odds and therefore could accomplish many things which was impossible for me to do otherwise. This has led to altering my life completely. How can I not thank the compassionate and merciful Master for his benevolence, generosity and kindness towards me? Words are never enough to thank Him. Yesterday was 31st Jan of the year 2009 and the day was Basant Panchami, the spring festival in India. It is also a day on which the Hindus pray to goddess Saraswati, the goddess of knowledge of scriptures, arts and music. As a child I remember in school we all used to worship Ma Saraswati by decorating her idol with yellow and orange marigold flowers, singing hymns and devotional songs in her praise, saying prayers and asking her to bless us and give us knowledge. We all gathered in the assembly hall and sang in chorus. All the girls would wear yellow clothes on that day and after the prayer meeting, we all got a piece of yellow burfi to eat! I presumed then that we chose the special colour of the day, yellow because in North India, after Basant Panchami arrives Basant Ritu or the spring season. So yellow was seen everywhere, you see. But that was all I knew, the spiritual aspect of the colour yellow and the importance of the spring season in terms of scientific and spiritual sense was unknown to me. In Ganeshpuri Samadhi temple on this particular day, the celebration of the spring festival is also performed by opening the restricted idol area of Swami Nityanand in the temple by removing the barricade in front of the idol for a few hours for all to enter. 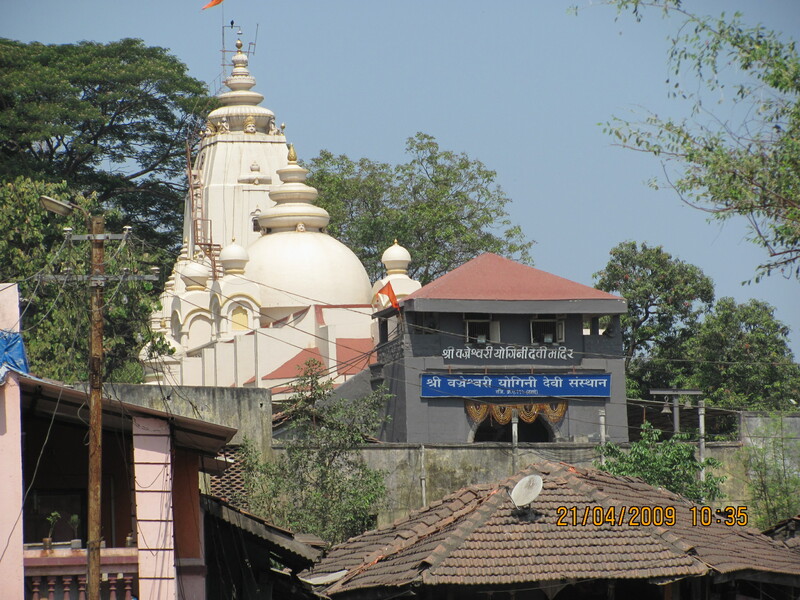 The purpose is that the devotees can circumambulate or walk all the way around the holy idol. Circumambulating an idol is a ritual, a way of worshiping and in this way we also get an opportunity to come closer to the energy field of the resting soul there. To recharge myself and to receive additional spiritual benefits, I planned and made a trip to Ganeshpuri on this day with my daughter. I wore a deep lemon yellow cotton sari and proceeded towards my chosen destination in the morning. On the way, I stopped my car at Vajreshwari, 3 kms before Ganeshpuri and climbed upto the doorsteps of the temple of Ma Vajreshwari, one of the many forms of goddess Durga. The temple is unique in structure and style of architecture as it is made like a fort by the local ruler before independence. We were lucky that day as we found very few people in the temple complex and I was able to pray there quietly and spend some peaceful minutes inside the inner chambers. We then drove towards Ganeshpuri . After reaching the place, we both went inside the big temple hall of Swami Nityananda where the followers and bhakta were in a relaxed mood and were waiting in the short queue to walk around the idol. Once again we got lucky as the swarm of people had not arrived yet. Like others, we too walked towards the idol without any restrictions and felt privileged. Once inside, I was ecstatic. The chamber where the idol is installed vibrated like a dynamo, it was a very charged zone. We also took a parikrama around the idol and touched Baba’s feet. With humility in our heart, we offered a box of sweets and a coconut as per the rituals as a mark of gratitude towards him. I came out with a deep sense of contentment and found a comfortable place to sit in the hall in front of the iconic idol… .. This entry was posted on Tuesday, February 10th, 2009 at 8:20 am and is filed under Uncategorized. You can follow any responses to this entry through the RSS 2.0 feed. You can leave a response, or trackback from your own site. though Gyan ,karma and bhakti are all the same to Him, which one do you think is most suitable and most practical to a householder?”. i found the line about using Shakti (power) and yukti(strategy) very intersting… we dont often refer to yukti when we talk of great ones.. we only say they have great powers or shakti…but they also use yukti to help us solve our karma related problems, to face our karma or to mitigate its effects, isnt it? Yukti has to be used because the people and the world itself is not a simple place to be in. People have strange ways. How can we deal with them? We need yukti which also helps us wrap up our past life karmas. Yukti and Shakti are both used without any ill intention. Think over it! @Nitram- Swami Nityanand has been working silently and is reaching out to innumerable people in subtle forms and many ways from the astral world. He is omnipresent Spirit. Invoke a desire to have His darshan and you will one day go to Ganeshpuri. Ignite the flame of Illumination with the spark of your will and determination. Keep it burning with the oil of your patience, purity and sincerity. Protect it as it rises upwards with the shield of your wisdom, faith, and intelligence. Thank you dearest Gurus for the purest and rarest of the scared Knowledge. What would be without your Grace, Mercy, and Love. Gratitude, Gratitude, Gratitude is all we can show by bowing at your feet. pranam to sri babaji, swami Nityananda of Ganeshpuri, all saints and ma. ma, it was a blessed reading. and it is great that the post written in the year of 2009 and it is 2014 am coming here to read it. everything ahs it own time. seeking the blessing of the great guru Swami Nityananda of Ganeshpuri..may he bless every wandering souls. thanks a lot for the writing ma, i was unable to read it for some days, i felt the absence very much, a regular reading of this blog inspire like anything never i had this experince before, when i do it regularly there are no space for other thoughts, wish to know more more and more. one day will surely come when i can go to ganeshpuri the blessed place. Dear Midhun, all the genuine saints like to keep ‘maun’ and never exhibit their presence anywhere. But they come into contact with the genuine seekers through thought channel if required. If they want to give us some blessings, you will feel like visiting their holy places on many occasions. So wait till the time comes and seek Swami Nityananda’s blessings by going to Ganeshpuri which is a teerth kshetra. thanks to you ma for writing me..
i will wait untill the time comes. remembering the quote..by sri sivanada swami..
May God and Guru bless us all. Pranam to Guru Ma and all divine Masters.